Tucked away in the southern end of Napa Valley lies Trinitas Cellars, a family owned and operated winery pressing some of the best grapes in Northern California. Founded in 2002, Trinitas Cellars is owned and operated by the proprietors: Tim and Steph Busch and their son and daughter in law Garrett and Betsy. Drawing from their involvement in many Catholic organizations, the Busch’s named their wine endeavor, “Trinitas,” which is Latin for “trinity.” The “trinity” of Trinitas Wine Cellars refers to three elements that work in harmony to produce wine: sun, soil, and humanity. The Sun is representative of God as he nourishes the grapes, Soil, a product of the collaboration between God and man, and Humanity—the growers, winemakers, and extended family that contribute to Trinitas Cellars wines. Winemaker Kevin Mills hails, not from the green valleys of California, but from the breadbasket of the U.S. –Oklahoma. Mills’ grandfather moved back and forth between California and Oklahoma, but Kevin describes him as a “True Okie.” After spending some time in Madera working his way to be a vineyard manager, Mill’s grandfather quickly became convinced that grapes were well suited for Oklahoma, thus the beginnings of the family vineyards. Though he’s making wine in one of the most renowned areas of the New World , Kevin Mills has a soft spot for Old World (European) wines –“If I could retire today, I would move to Piedmont and make a few hundred cases [of Nebbiolo] for my own consumption.” Some of Mills’ favorite wines currently come from Castillo della Sala in Umbria, which neighbors Tuscany, Mill’s other favorite wine region besides Napa. A winemaker that serves as inspiration for Mills is Renzo Cotarella, the resident winemaker of Tuscany’s Antinori Family of wines (famous for “Super Tuscans”). 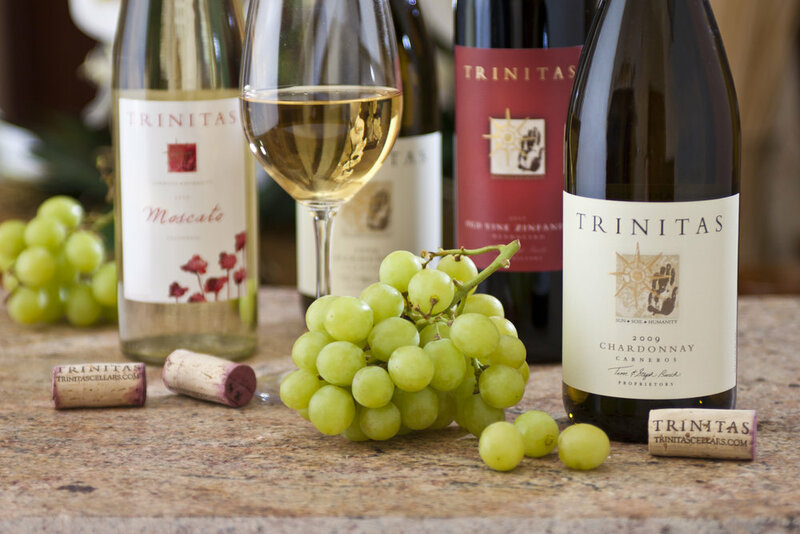 It’s Kevin’s penchant for the elegance of Old World wines and the New World fruit that produce the fruit forward and elegant wines of Trinitas Cellars. Mills describes Trinitas wines as “elegant and fruit forward with great weight and mouthfeel.” A combination of Kevin’s standard for elegance and Garrett Busch’s fondness for powerful fruit forward wines. 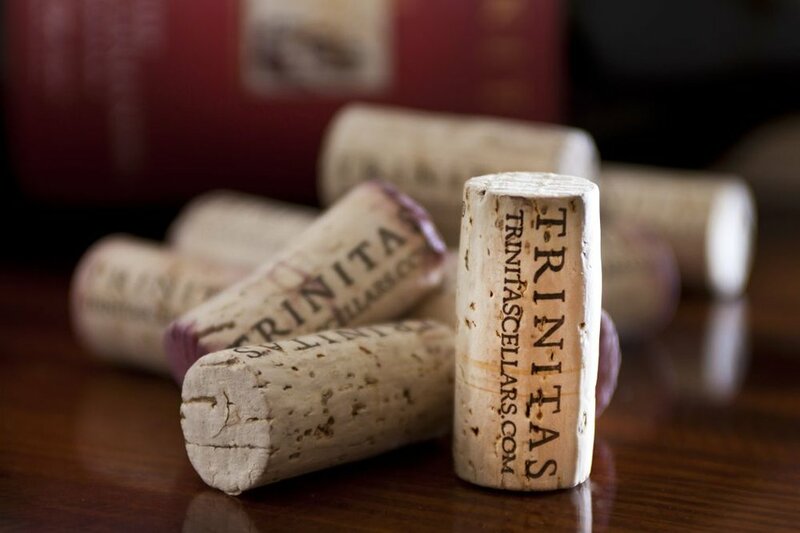 Trinitas Cellars’ wines have incredible balance that is due to the efforts of the growers and Kevin Mills. For many of the “higher end” Trinitas wines, Mills uses not American or French oak, but Russian. The oak comes from the forests north of Sochi, where the growing season is cooler due in part to the large amounts of snow and rain, creating a wood that is extremely tight grained and sweet. Join us as we share some wine in the company of Kevin’s three “F”s: friends, family, and food this Thursday, February 15, 2018 with an exclusive menu curated by chef Erin Sealy of Wine Pairs Events and Catering.